Drumming with Chris: First lesson Free! 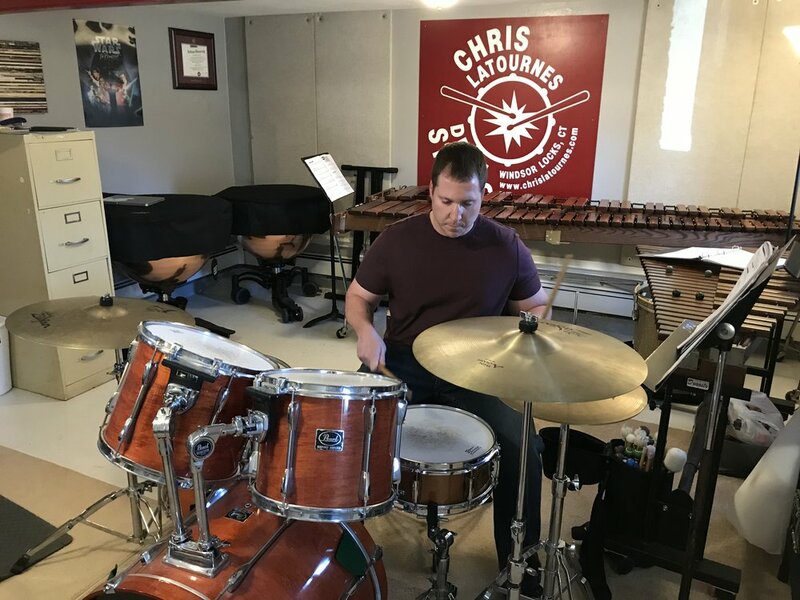 Chris is located in Windsor Locks, Connecticut and has taught percussion in the New England area to students ranging from the elementary school to retired adults. He has taught students at his private studio for the past twelve years as well as teaching the percussion methods class at Boston University. He will work with each student to have an open dialogue about their goals for their performing and how they can work together to make those goals tangible achievements. Chris is able to teach lessons in an atmosphere that is most convenient for you whether that is in his private studio in Connecticut, traveling to your own house, or teaching via skype/facetime. Chris has been lucky enough to have been brought up in a musical family with his mother being a middle school music teacher. Chris is especially experienced in teaching grade school percussion students himself. Growing up surrounded by his mother's rigorous teaching schedule, he has learned first hand the nuances to teaching students at varied levels of training. Please contact him at CPLatournes@gmail.com regarding rates or fill out the form!